In this tutorial we revisit Android Alert Dialogs use as pop up windows and dive into some more advanced features. These include setting positive,negative, and neutral buttons, adding a text view, and setting a completely custom layout. 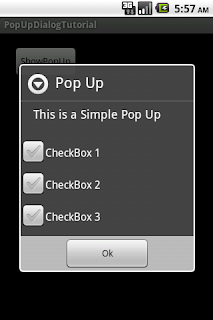 In this tutorial we will demonstrate some more advanced features of the Pop Up dialog. These advanced features can be useful, but it is important to reiterate a word of caution. Pop up windows can be annoying. It can be tempting to throw in a couple of settings in a pop up window, which can be fine, but plan ahead if you want to add more settings in the future. Pop up windows are smaller than a full activity, and can be difficult to deal with if they are presenting too much information. 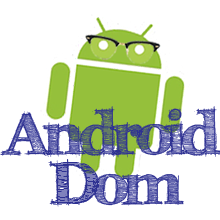 We are going to build off the code that we created in the first part of the tutorial, Displaying an Android Pop Up Dialog (AlertDialog). Screenshot showing the positive, negative, and neutral buttons. When you use an AlertDialog you get the option of setting names and listeners for up to three buttons. If you don't set a listener for any buttons, the user can dismiss your dialog by pressing the back button. You can make the text of the buttons say whatever you want. The code to display the Pop Up is listed below. 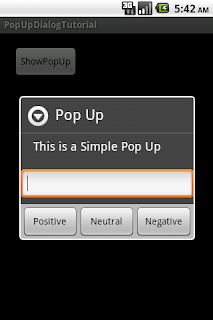 To show this new Pop Up, simply change the OnClick listener for the showPopUp button to call this new function. This is demonstrated below. Perphaps you want to use a Pop up window to ask the user to enter their name when they achieve a new high score. To Accomplish this, we can add an EditText to the AlertDialog. Modify the showPopUp2 code to contain the following right after the setMessage line. 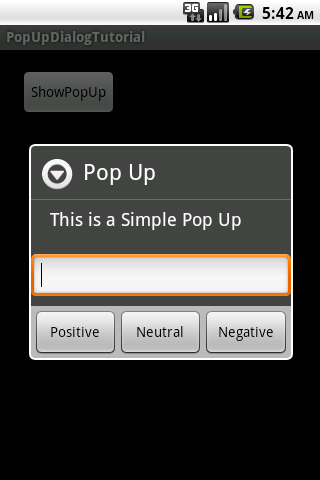 Run the app again, and your Pop up will now feature an EditText. If you want, you could modify the listeners for the buttons to take some type of action referencing the value of the edit text. In some situations it may be easier to define a layout in XML and then inflate it for the pop up. This is fairly easy to do. Create a new layout called popuplayout.xml Then add a couple of checkboxes to the layout. Now, create a new function showPopUp3. 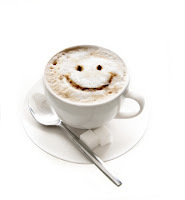 This function will show a Pop Up that features our newly created XML layout. Once again, modify the ClickListener for the showPopUp button to call our new function. Shown below is a screenshot of the output. Listed below is the complete source file for the MainActivity. Hi, Thank you for your tutorial. It helped me solving my problem! But I have another question, for the last part, alert dialog with checkboxes, what if I want the checkbox values to be the data I query from my SQlite database instead of fixed text? Any suggestions for Han's question. I have the same issue. Thanks! Hove to checked checkbox item before popup dialog show?